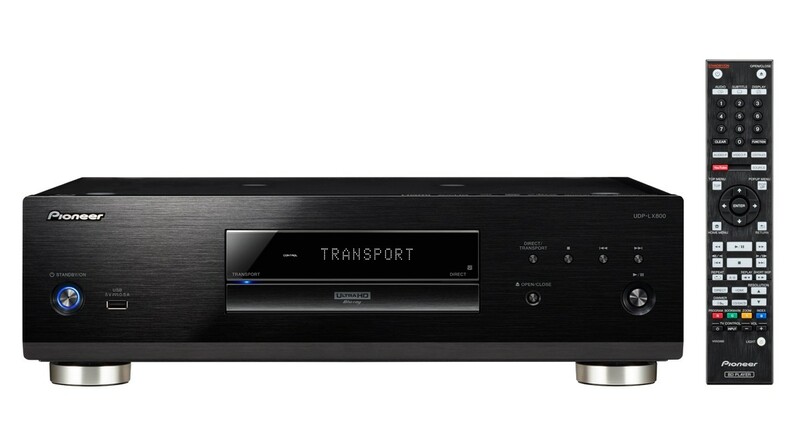 Pioneer UDP-LX800 is a Universal Disc Player for UHD BD, BD, DVD and CD with HDR10 with two ESS SABRE PRO DACs, large-capacity power transformer and pure digital AV output. 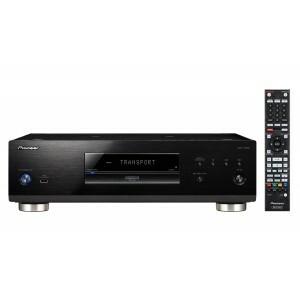 Pioneer UDP-LX800 4K Blu Ray Player has a very rigid build to attain a high signal to noise ratio for quality AV performance. Facilitating the latest UHD format, two ESS Sabre Pro Series DACs are employed in parallel to deliver audiophile sound. Other functions include SDR/HDR Preset Mode, Direct/Transport Function and XLR balanced output terminal. The blocks for power supply, drive/digital processing, and analogue audio are split into three to prevent electrical and magnetic interference between the blocks. The rigid beams placed between the blocks further reinforce the structure, while the internal layout is optimally designed to reduce vibration and signal loss. As a universal disc player, the UDP-LX800 can play numerous optical discs including newest disc format Ultra HD Blu-ray which has four times the resolution of 1080p Full HD, as well as Hi-Res Audio and other music files, and video files. The technologies from the PD-70AE SACD player are incorporated to augment the analogue audio block. The paths for L and R signals are configured identical including the pattern and parts layout. The L/R signal balance is robustly maintained, resulting in more precise and superior separation during playback. The bus bar between L and R signals also help to balance the ground. Even the holes for heat radiation are bypassed for a flat form with top electric circuit design, to lower the mechanical motion sound from the BD drive. This leads to significantly low noise and a much more rigid and secure structure. The 1.6mm base is reinforced with a 3mm steel plate Rigid Under Base. This dual layer chassis affords a low centre-of-gravity and complete rigidity that prevents external vibrations in the inner chassis, and offers a high reading of the disc. View the disc information on screen by touching and holding the remote control’s "Display" button. You can also easily check mastering data such as MaxFALL (Frame Average Light Level) and MaxCLL (Content Light Level) available on some HDR content and HDMI output. The function entirely turns off the analogue audio circuitry from power supply to output, by cutting the power supply to the transformer via HDMI connection. The S/N ratio reinforces and acheives high-quality audio and video playback. The large-capacity purpose-built power transformer for the analogue audio circuitry and the custom capacitor form the high power circuitry that hosts immediate power supply. The surpluss electromagnetic wave produced by the transformer is bound within the copperplated shield case with anti-vibration paint. The f-shaped embossing helps suppress standing-waves to achieve sound quality incorporating both dynamic and silent characteristics. Also featured is black anti-vibration paint enabling stable and superior power supply to the drive and digital blocks.